SmartBear is making its UI functional web testing tool available for free for open-source projects. 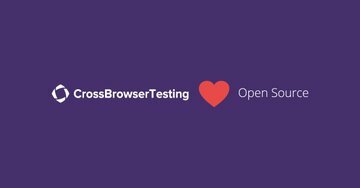 CrossBrowserTesting enables teams to automate Selenium scripts, manually debug web apps and compare solutions on more than 1,500 desktop and mobile browsers in the cloud. According to the company, the full access to its device lab will maximize test coverage and ensure a quality user experience. “The Swagger development team has used CrossBrowserTesting for a few years now, and it has become a critical part of how we ensure that the SwaggerHub SaaS product and Swagger.io website function perfectly for any user who visits those sites,” said Ron Ratovsky, Swagger developer evangelist. Cloud-native CI/CD platform provider Drone.io announced it is bringing its tools and capabilities to Microsoft’s Windows developers. Windows developers will now be able to run CI/CD pipelines on Windows and inside Windows containers to build and test code in a cloud native way, the company explained. Informatica has announced new AI-driven data lake management capabilities for data engineers, data science teams and data operations. The company announced the next-generation data management solution for Apache Spark-based Big Data cloud environments. The latest release will focus on helping organizations stream, ingest, process, cleanse, protect and govern more Big Data with less effort. According to the company, updates include increased data engineering productivity with advanced Spark serverless based integrations, broader support for Big Data clouds, advanced self-service data discovery, data preparation, and improved monitoring. CA is joining a three-year research project to discover how IoT apps can use AI to imitate human decisions. The project, ALOHA or adaptive and secure deep learning on heterogeneous architectures, will also look at how to prevent AI from making biased decisions.